This is a continuously updated blog post on the Google Mobile Friendly Algorithm that is scheduled to roll out on 4/21/2015. The Google Mobile Friendly algorithm change will affect websites that are not mobile friendly. Google urges business owners to shift to responsive websites or at minimum, have a mobile website. Websites that are not mobile friendly will lose their rankings in mobile search, which makes up the majority of searches today. A. Setup: If you do not have Google Webmaster Tools, have your webmaster set it up. It should take no more than 15 minutes, assuming they have proper access to your website. B. Adding URL Aliases: You want to add all variations of your website URL to Google Webmaster Tools including www. *, https://* and https://www.*. for e-commerce websites and m.* for your mobile website. C. Check Important Updates: Once logged into Google Webmaster Tools, go to Messages to check if there are any issues that Google wants you to fix. D. Check Crawl Errors: Click into Crawl and then Crawl Errors. Be sure to check under the Desktop, Smartphone, Feature phone tabs and underneath each device category, check the Server error, Access denied, Not found and Blocked sub tabs, if it displays errors. E. Check Pages Indexed: Click into Google Index and then Index Status to see if the “Total indexed” reflects on how many pages in your website, roughly. If this number does not match up, check your sitemap.xml and possibly robots.txt, if there are any access denied pages. 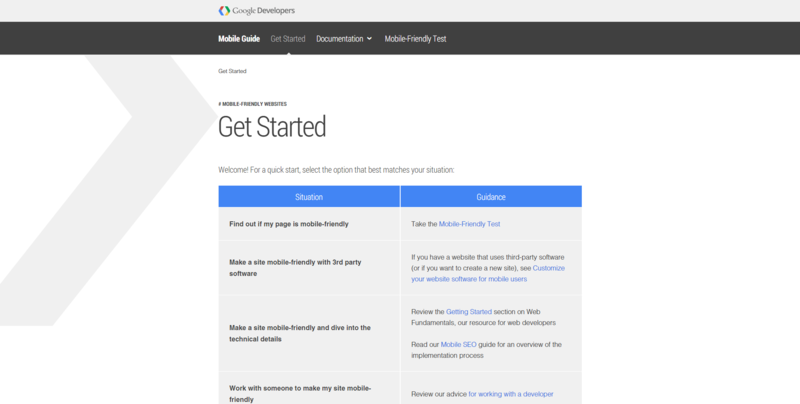 In rare occasions, if the Mobile Friendly Test tool indicates that your website is mobile friendly but Google Webmaster Tools indicates otherwise, listen to Webmaster Tools. The best way to see if a website is truly mobile friendly is to check on a smart phone and tablet, preferably on iPhone, iPad and Android. I have seen many occasions of web developers, especially for small businesses, launching responsive websites that appeared broken on an iPhone. It turned out their only method of testing was resizing their web browser window. This should be the first but of many quality assurance use cases.